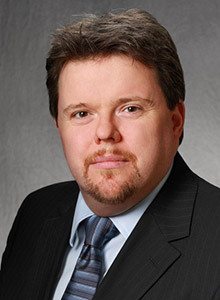 Dr. O'Connor is a Senior Market Analyst with Phocuswright and co-author of our annual European Online Travel Overview. He is also Chaired Professor of Digital Disruption at ESSEC Business School, France, where he also serves as Academic Director of the specialized courses in Hospitality Management. Peter's research, teaching and consulting interests focus on distribution, e-commerce and electronic marketing in hospitality and tourism. In addition to authoring three leading textbooks, Peter has published articles in leading academic journals including the Harvard Business Review and the Journal of Marketing, as well as countless articles in both the academic and trade press. In 2015, he launched Coursera’s first MOOC (Massive Online Open Course) on hotel distribution and online marketing, which currently has over 12,000 active learners. Peter’s insights and understanding of technology / distribution issues in the European hospitality industry have made him a much sought after speaker and panellist at major industry events. His writings on travel innovation are insightful and highly regarded within the industry. He is regularly quoted in the international press and consulted by investment and consulting companies on developments in the online travel arena. A frequent traveler, he now lives in Paris with his wife and three children.